PARIS --- Italian Defense Minister Elisabetta Trenta announced yesterday that she has decided to put on hold the planned € 250 million purchase of eight P.1HH drones produced by Piaggio Aerospace, Italy’s only manufacturer of large drones. The company, which has over a thousand employees, has been in crisis for some time; it is now in receivership. Trenta said the ministry continues to "support the creation of suitable conditions" to keep the company running, and mentioned the intention of buying some of the company’s P180 Avanti twin-turboprop business aircraft to replace the ministry’s current fleet. “Further assessment about the P.1HH is ongoing to find new synergies allowing the program to proceed,” Trenta said in an April 3 statement. However, there are some doubts about the aircraft’s performance, and in a recent parliamentary hearing the Italian Air Force Chief of Staff, Gen. Alberto Rosso, called on the Ministry to reconsider its decision. 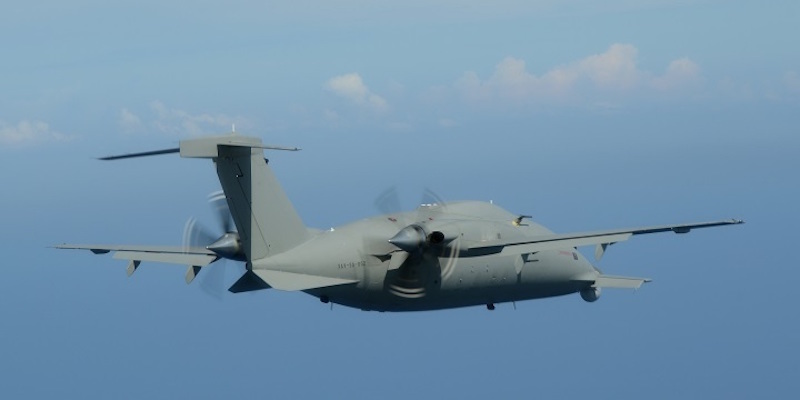 The Italian Air Force signed an agreement to become the P.1HH’s “launch customer” at the IDEX show in Abu Dhabi in February 2015, and was initially due to order four systems, each comprising two aircraft and a ground station. The UAE Air Force was due to order another eight systems; Mubadala Development, a unit of the UAE sovereign fund, owned 100% of Piaggio Aerospace equity. However, the only PP.1HH flying prototype was lost when it crashed into the sea off Sicily in May 2016 during flight trials, while the second had not flown when the program was brought to a standstill shortly afterward. At the time, the company needed about 70 million euros to finalize the program’s development and certification process. Trenta’s decision to put the order on hold seems to be due as much to the unsatisfactory performance of the drone as to doubts about the company’s viability after Mubadala sold its stake and pulled out. After P.1HH, Piaggio Aerospace had finalized a project to develop a new model, the P.2HH, which was considered to offer better prospects. This program was still in the initial design phase it was suspended after the company went into administration. The Italian government, along with the United Arab Emirates sovereign fund Mubadala Development, which owned the company, were to have invested nearly € 800 million in the project each. Despite Trenta's promise to continue investing, the P.2HH project was quietly dropped, after the Emirati shareholders decided to exit the company. -- April 11, 2019 @ 08:00 CET: Modified headline and several sentences at the request of Piaggio Aerospace to correct factual errors about the program's cost and the size of Mubadala's previous stake in Piaggio.